Japanese ingredients aren’t just in Japanese restaurants anymore! More homes in the United States are using it for their cooking, too. For Americans, rice is just a cereal grain rarely used in quintessential American dishes and desserts. But for Asians including the Japanese, Chinese and Koreans, rice is a daily food staple, at the heart of their cultural identities, and a driving force in their national economies. Without it, a meal isn’t complete but with it, everything seems so right with the world – well, at least, while one is enjoying steamed rice with flavorful dishes. The bottom line: Rice isn’t just rice for Asians! Such a fact of life is immediately evident in Japanese restaurants like Benihana where rice dishes are the heart and soul of the menu. If you want to enjoy quintessential Japanese dishes like sushi, then you should know rice – what it is, how it is cooked, and how it is stored, among others – even at just a basic level. While you may not cook it at home often, you will have a deeper appreciation for the care and attention that went into cooking your bowl of rice and sushi. Rice is the seed of several species of grass with the most commonly cultivated being Asian rice (Oryza sativa) and African rice (Oryza glaberrima). The cereal grain comes in a rainbow of colors – brown, black, red and white – as well as in several sizes, shapes and level of stickiness. Indeed, such is the wide range of rice varieties that it’s used for both savory and sweet dishes, even in wine-making (e.g., saki) and as fermented rice. Long-grain rice has a cylindrical shape; examples include basmati, jasmine, and Mexican rice. It has a firm yet fluffy texture once cooked while the grains and separated with little to no stickiness at all. Medium-grain rice examples include Arborio and Bomba rice. When cooked, it has a moist, tender and slightly sticky and chewy texture. Short-grain rice includes Japonica rice. When properly cooked, it has a sticky texture without being mushy – and it’s considered as the perfect rice for Japanese dishes including sushi. If you’re buying rice from a supermarket, you should have an easy time telling the difference between these varieties – read the label. In Japanese dishes, there are two types of short-grain rice used. Both of these varieties, by the way, are cultivars of Japonica rice. Uruchimai, or Japanese short-grain rice, is commonly used in rice balls and sushi, as well as in making rice vinegar and rice wine (i.e., sake). Mochigome, or Japanese glutinous or sweet rice, is usually used in making desserts like wagashi sweets and mocha rice cakes. Both are sticky in texture once cooked. But due to the differences in their level of stickiness, these cultivars cannot be interchanged – uruchimai is for savory dishes, mochigome is for desserts since it has a stickier quality. While every rice variety has a certain sticky quality to it, Japanese rice is known for its more clingy and sticky quality than, say, jasmine rice or basmati rice. This is due to the high proportion between moisture and starch in the rice grains. In scientific terms, the amylose and amylopectin (i.e., components of starch) the levels in the rice are at opposite ends of the spectrum – low in amylose and high in amylopectin. We want to clear up the confusion about sushi rice and Japanese rice. These aren’t one and the same despite the labels on rice sold at supermarkets in the United States. Keep in mind that sushi rice is steamed Japanese rice with a vinegar-based flavoring (i.e., vinegar, salt and sugar), and it’s known as sumeshi and used only for sushi. Japanese rice is, well, plain Japanese rice cooked through the boiling method. The latter is used for everyday meals, such as donburu, onigiri rice balls, and Japanese curry. Everything about rice from choosing to cooking it is a careful process for chefs in Japanese restaurants for good reasons. Since rice serves as a base for the savory or sweet flavors in a dish, its overall quality matters. 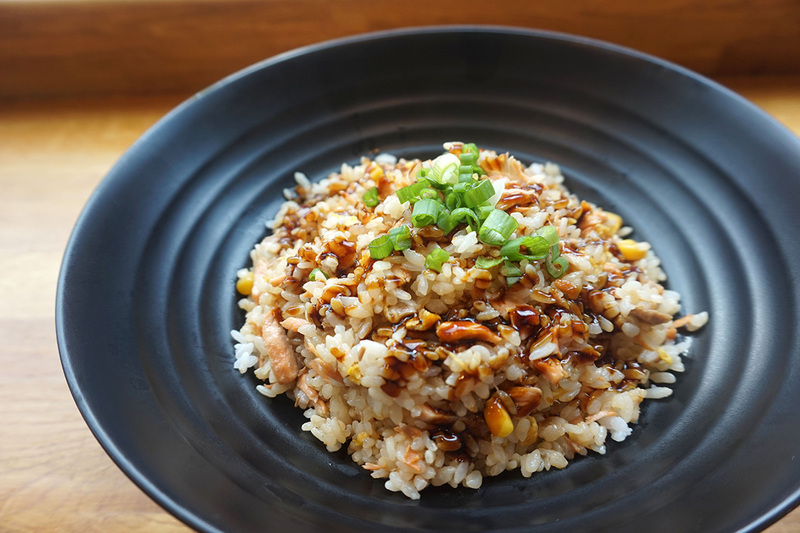 Here are five tips to keep in mind so that you, too, can enjoy rice at your home and appreciate it in Japanese restaurants. Always look for high-quality rice. Look for a white and shiny appearance and a milky fragrance. Be sure to use the right type of rice for the dish or dessert being made; for example, Nanatsuboshi rice is great for onigiri and sushi while Yumepirika rice works well with savory dishes. Store uncooked, freshly polished rice inside an airtight container and then kept in a refrigerator. Adjust the rice-to-water ratio depending on the rice variety. Typically, it’s one cup of water to one cup of rice, such as for Nanatsuboshi rice, but it is 1:0.9 to Yumepirika rice. Brown rice cooks well at 1:1.5 ratio. Wash the rice in cold or room temperature water quickly for the first wash. For the second and third wash, wash the rice for not more than 40 seconds. Soak the rice in tap water for about 30 minutes. Cook the rice in a rice cooker for good results, especially if you’re a beginner. In conclusion, rice in Japanese restaurants may look plain and boring but it’s at the heart of the dish so respect and enjoy it!